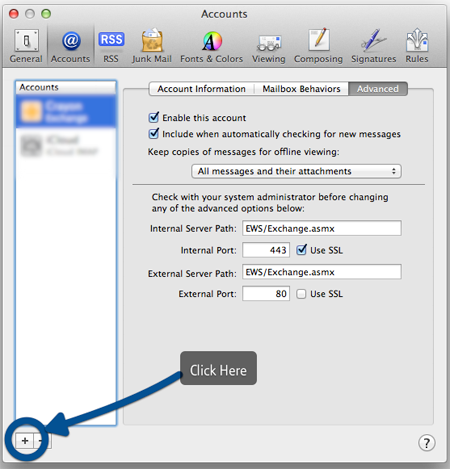 Launch mail and then select Preferences from the Mail application menu. 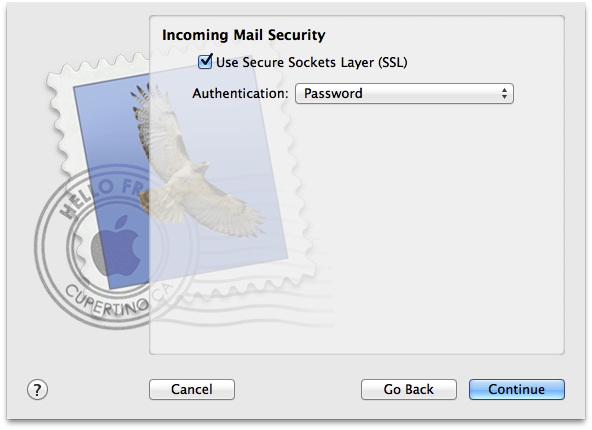 A window should appear showing all email accounts that are set up to work with Mail. If the window doesn't appear, click on the Accounts icon at the top of the window. Select the plus button (+) at the bottom of the Accounts pane to add a new account. In the full name box, type your name (this will be the name that you want your emails to be shown as in the inbox of the people you sent emails to). Check that you use a valid email address or an email address from a domain you have registered with us for email relay. In the Incoming Mail Server box, type outlook.office365.com - your password and username will remain the same. Tick the Use Secure Sockets Layer (SSL). Click Continue. A summary of your account will be displayed. Click Create. Your accounts page is displayed. In the Outgoing Mail Server (SMTP) section, choose the correct SMTP server from the list and then select Edit SMTP Server List. On the Advanced tab set the Port to 587. You should now be able to send and receive email.